During the mayoral campaign, thousands of Boston residents shared with us, and with each other, their hopes and dreams for the future. These ideas and aspirations cut across all areas, but we were consistently struck by the fact that the impact and the power of the arts was a common refrain. Bostonians said loudly and clearly that they would like to see the arts more integrated into their daily lives. Unprompted, they spoke of the arts in terms of education, equity, access, and affordability. We heard them. They spoke of the arts not as an extra, but as a means of communication, an expression of identity, and a tool for teaching and healing. In the months before the mayor took office, our working group for arts and culture heard from artists and residents at a series of arts-focused town meetings, as well as through online submissions of testimony. Not surprisingly, citizens and citizen-artists spoke of their desire to see increased support for the arts from City Hall. They asked that we create a sustainable cultural plan, increase access to arts education, improve the permitting process, aid artists and arts organizations with housing and work spaces, and embrace the rich diversity of Boston’s population by supporting a wide range of arts and cultural traditions. More surprisingly, other transition working groups, like those exploring education, economic development, public health, public safety, and even transportation and public works, also heard from citizens that the arts are valued. As we promised early in the campaign, we have created a cabinet-level position with the chief of arts and culture. The excitement surrounding this appointment is palpable. We can feel the goodwill out there as we move through the city, and we are optimistic as we welcome years of knowledge of municipal arts management and cultural planning. 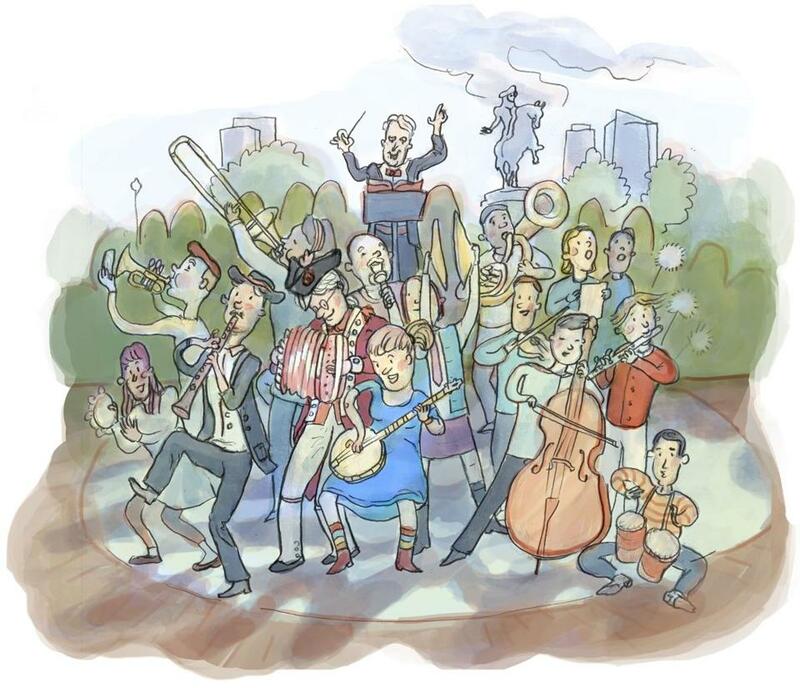 We are determined to grow Boston’s cultural vibrancy. Together with city residents, we will look at how arts and culture can play a greater role in the lives of all Bostonians — experiencing, learning, and creating. Experiencing the arts means enjoying the beauty of that which others create for us. Learning about the arts means that children and adults can see the world around them through a new lens. And creating art means finding ways to express thoughts and feelings to heal, connect, and inspire. Our cultural plan will be a road map of a long-term strategy for how to enrich and strengthen our civic fabric as only the arts can. We seek to make the arts more accessible to residents of all neighborhoods and to support public art and design as a key component of how we envision and develop space in Boston. We have already taken some small steps to make arts and culture an integrated feature of life in Boston. We doubled the Boston Cultural Council’s funding, took steps to improve the artist permitting process, revived the poet laureate program, and worked with the Boston Book Festival to distribute their “One City One Story” offering across Boston through seven city departments. This is merely the beginning. As the arts and culture cabinet officially launches in December, and the public portion of our cultural planning process begins in January, Bostonians and visitors will see and feel new creative vibrancy emerging. We will continue to make improvements in the near future as well as look to creating a new Boston that fosters arts and culture — and inspires and improves the quality of life for us all. Martin J. Walsh is the mayor of Boston. Julie Burros is the incoming chief of arts and culture.